We use state of the art 3D computer generated design technology that allows us and our clients to see their frame from every angle during the design process. 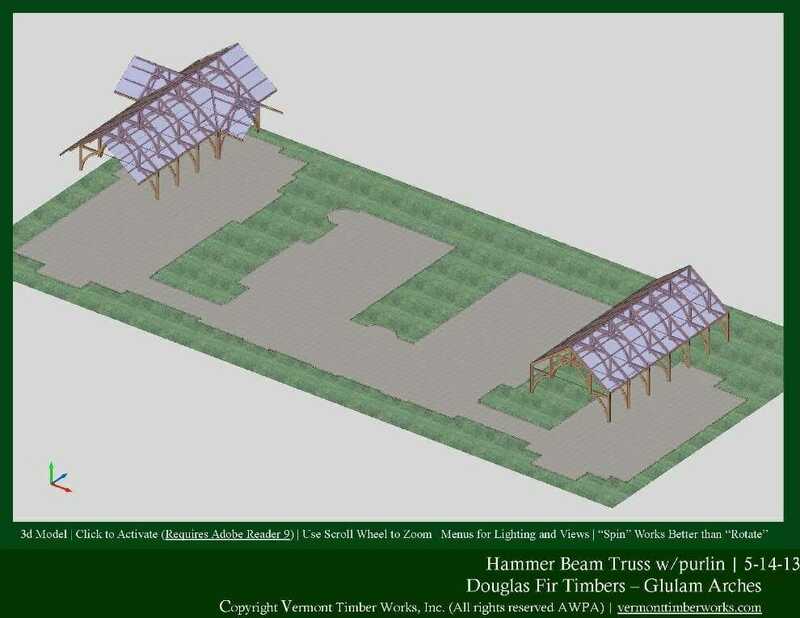 View our timber frame church plans, elevations and perspectives. Below, are 3d renderings of timber frame churches that range from small to large and simple to complex. Please Note: To view the projects in 3d, you will need to click the “Download PDF” button and open the file with Adobe Reader 9.5 or higher. Internet Explorer and Chrome will open the 3d file automatically. Firefox and Safari don’t support the 3d viewer internally, so Firefox and Apple users will need to download the file to their desktop and open it with Adobe Reader. It takes a few extra clicks, but it is worth it! 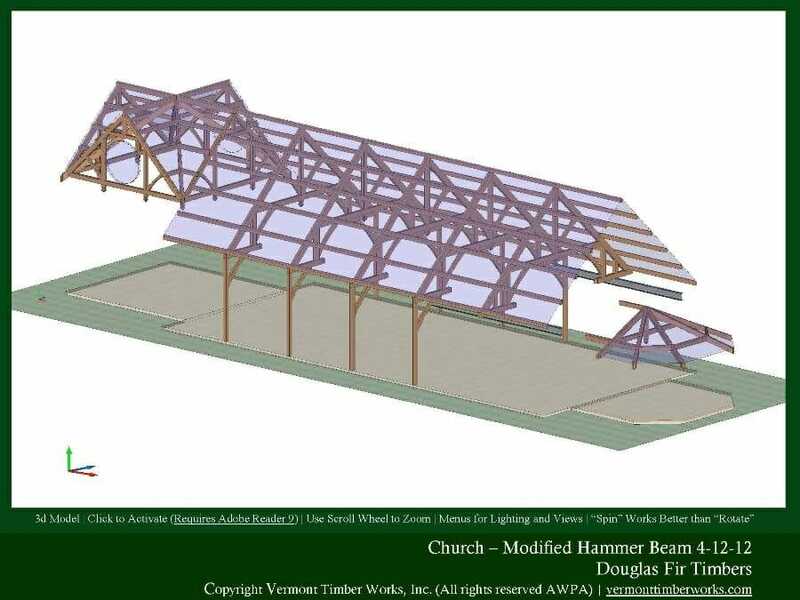 This church features hammer beam trusses that are designed to be constructed with douglas fir timber. 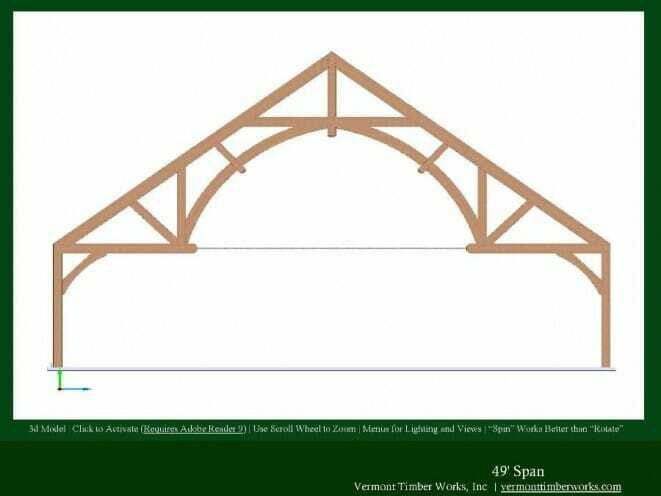 These are 42 foot hammer beam trusses with purlins and glulaminated arches that are designed to be built with douglas fir. This modified hammer beam truss spans 49 feet and features a steel tie rod that allows for the open truss design by providing extra support for structural loads. 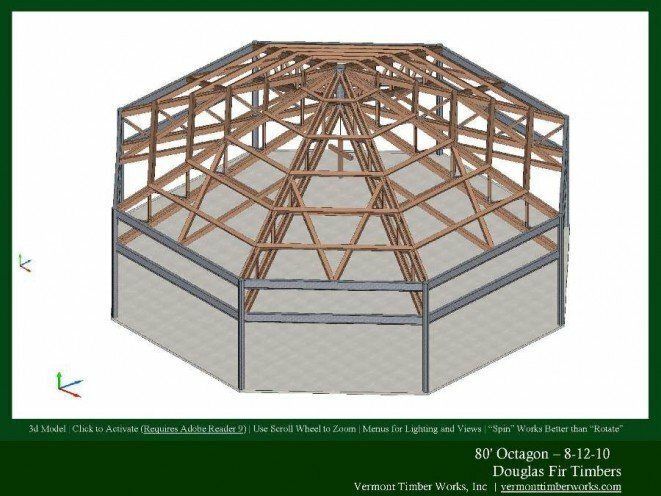 This is a massive timber frame design with an 80′ span. The church features girder trusses, douglas fir timber, and central steel hub. 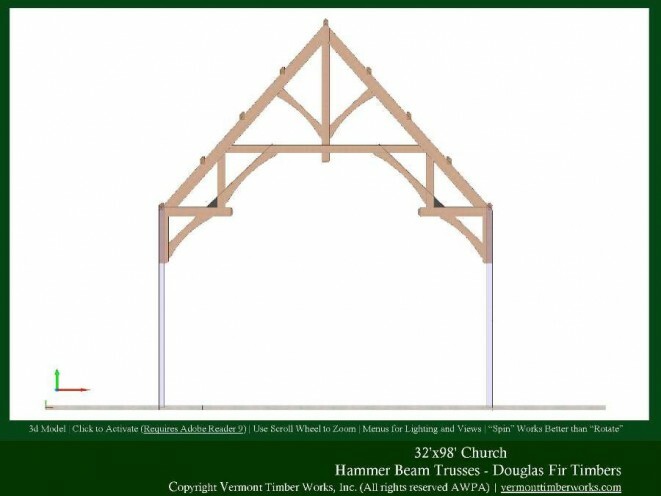 We often use modified hammer beam trusses for churches because of their open, and grand design. This church was designed to be built with douglas fir timber and traditional joinery. This frame features glue laminated arched timbers and a dome roof. 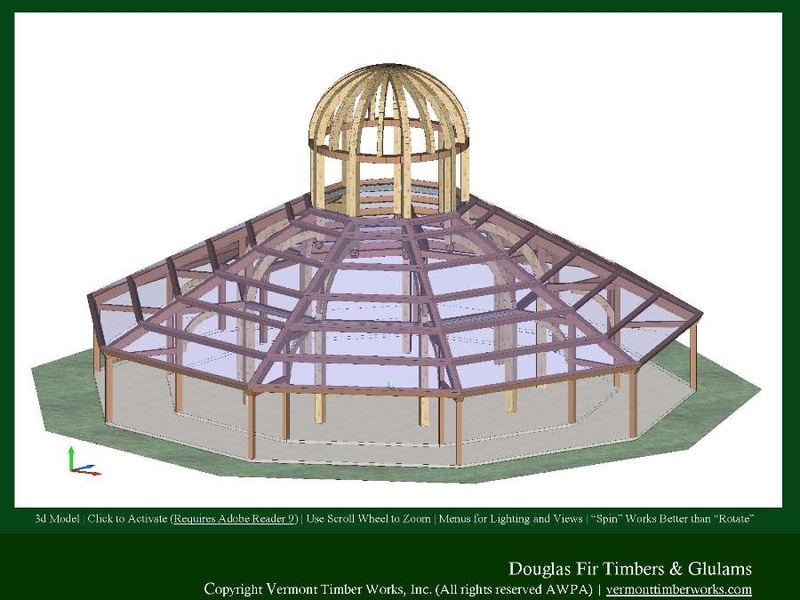 It is designed to be constructed using douglas fir timber and traditional joinery.